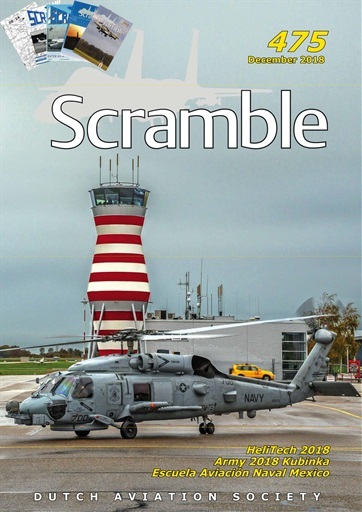 With issue 475 the last Scramble for 2018 is now available. 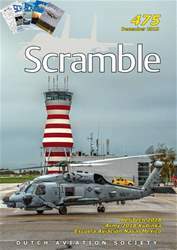 Of course the movements on Dutch an dBelgian airports arecovered and news about civilan and military aircraft that has ecome available last mont is provided. Dedicated articles are provided on the Helitecjh 2018 that was held in Amsterdam and about the activities of the 75 year old Mexican Escuela de Aviación. Another highlightis the triptease that this month includes trpis to Russia inlcuding a visit to the ARMY 2018 exhibition.